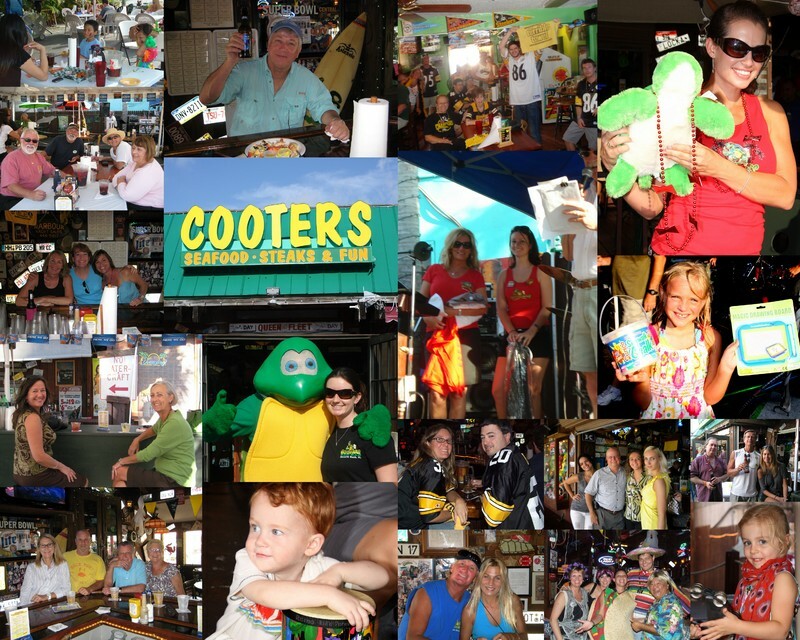 Since 1993, Cooters Restaurant & Bar on Clearwater Beach has been the destination for both locals and travelers who want the real side of beach life. No corporate atmosphere here! Cooters is known for fresh seafood, hand cut steaks and creative daily specials. We're family owned & operated and enjoy putting our own unique spin on dining by offering the locals and visitors of Clearwater Beach a taste of real Florida --A fun, casual atmosphere with friendly service, delicious food, tropical drinks and classic Southern hospitality. Our menu selections are prepared fresh on the premises, and our seafood is delivered daily. We use top quality ingredients such as fresh Florida Grouper and Certified Angus Beef. Our soups, dressings and sauces are all homemade, and our steaks are hand cut in house. On our menu you'll find something for everyone with favorites such as Signature Stuffed Mahi, Fresh Gulf Grouper,Captain's Platter, Black Angus New York Strip, Cooters Sirloin Burger, Shrimp & Scallop Pasta, Crisp Salads, Premium King Crab, and our legendary Wings, (Hand-breaded with homemade sauces -- No frozen wings here!!). Enjoy ice cold beer, frozen daiquiris, pina coladas, and refreshing mojitos at our large open air bar. Our full menu is also served at the bar. Cooters Sports Bar (located at the end of the patio) is well known as Pinellas County's favorite Steelers Bar during football season! 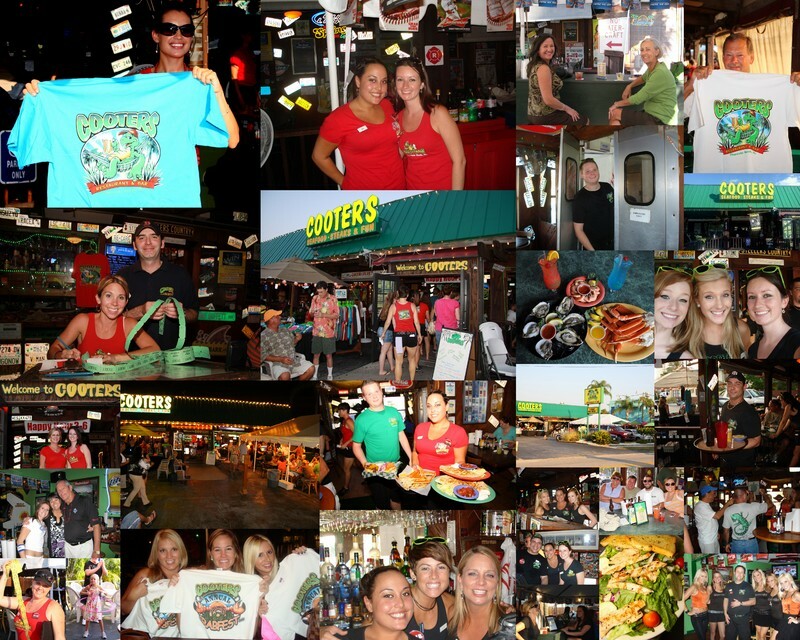 During Spring Training, you'll find lots of Phillies Fans (and players) at Cooters! Along with all the sports action, Cooters Sports Bar features a great late night happy hour, juke box and video games. To provide delicious and remarkable food and drinks in enjoyable surroundings. That our food and drinks we provide meet the highest standards of quality, freshness and consistency. To provide our customers with impeccable service by demonstrating warmth, graciousness, efficiency, knowledge, professionalism and integrity in our work. To have every customer who comes through our doors leave impressed by Cooters and excited to come back again. To provide all who work with us a friendly, cooperative and rewarding environment. To be a giving member of the Clearwater community and to use our restaurant to improve the quality of life in the Tampa Bay area. Cooter - A type of freshwater turtle, generally found in the south.